Thus, for the first time, a new category – the camp of the year with the best glamping offer was introduced, and the winner is the newly opened Arena One 99 Glamping by Arena Hospitality Group. 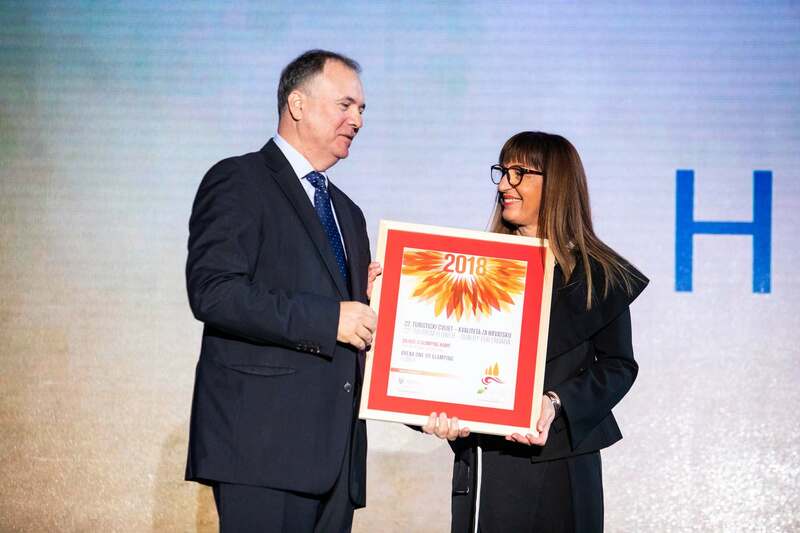 The State Secretary of the Ministry of Tourism, Frano Matušić presented this prestigious award to Manuela Kraljević, Arena Hospitality Group’s Management Board Member and Director of Marketing and Sales. What makes the success of Arena One 99 Glamping even bigger is that, in addition to being awarded the camp of the year with the best glamping offer, it was nominated in the top three campsites in the Camp of the Year in Croatia category.